Reducing the burden of cancer. 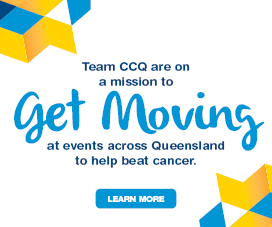 Cancer Council Queensland (CCQ) raises funds that are dedicated to improving quality of life for people living with cancer, through research, patient care, prevention and early detection. CCQ is dedicated to supporting the community in cancer control. CCQ is dynamic, outcome-focused, responsive to community needs, committed to voluntarism and the pursuit of excellence in all its activities. All employees and volunteers from CCQ, through their work, are actively involved in cancer control. With integrity, agility and a deep sense of belonging – we are committed to supporting the cancer community. 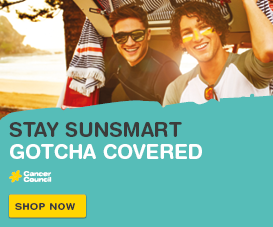 Improve access to cancer information, programs and services. 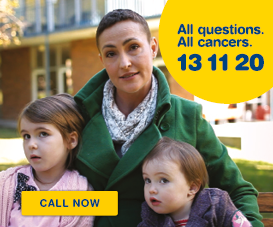 Mobilise resources to build community capacity and strengthen cancer care systems. Lead local, national, and global dialogue to make cancer a priority in health and development planning. Reduce cancer risks by delivering and advocating for evidence-based population-wide programs and interventions that promote healthy lifestyles and uptake of screening. Encourage healthy communities through engagement across regions, sectors and industries, targeting at-risk groups. Deter high-risk behaviours by informing and advocating for public health policy and program development. Advocate to ensure the assessment and care of people affected by cancer is timely, safe, comprehensive, and of consistently high quality. Provide evidence-based high-quality programs and services in line with best practice, establishing need, access and efficiency for each. Disseminate the latest news, information, and evidence on cancer. Invest in studies and programs to overcome the barriers to equity in cancer survival. Promote integrated and multi-disciplinary service approaches, centred on patient and community need. Monitor and report on trends and emerging developments in cancer incidence, mortality, survival, and prevalence. Conduct collaborative investigations into cancer control, with a focus on reducing the burden of cancer and the rapid translation of research into practice. Invest in Queensland-led cancer research, with demonstrable potential to improve the survival and wellbeing of Queensland patients. Inform worldwide understanding of cancer control, through the publication and presentation of new evidence. Inspire community and volunteer involvement in fundraising. Create diverse, innovative and inspiring fundraising experiences that encourage community and corporate supporters to our mission. Engage networks of influence in cancer control through collaboration. Build the necessary capability, underpinned by agile systems and processes to enable brilliant digital customer experiences. Develop workforce capability and drive critical cultural shifts with a focus on core values, greater simplicity and accountability. Leverage investments in business intelligence systems and processes to promote robust decision making and allocation of resources. Actively pursue opportunities to reshape the asset portfolio to align with the mission.